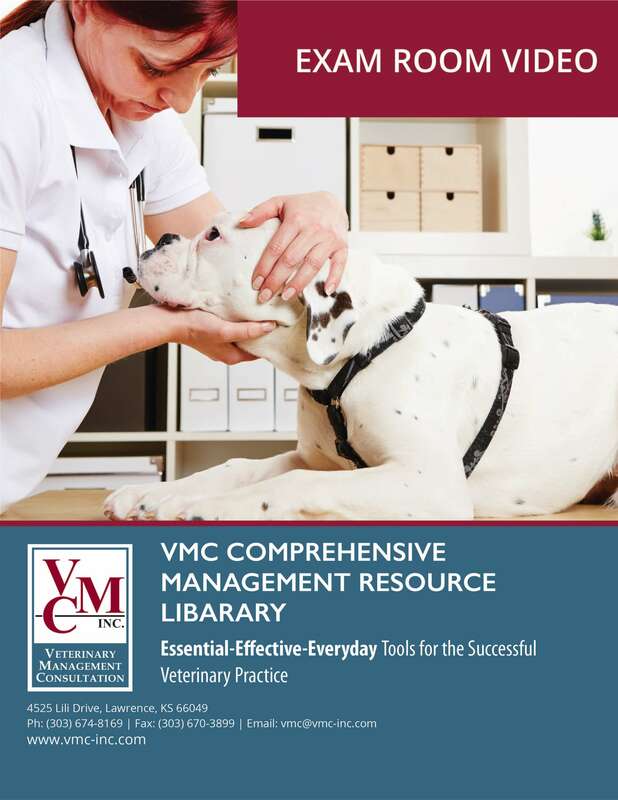 VMC Comprehensive Management Resource Library - Veterinary Management Consultation | VMC, Inc. 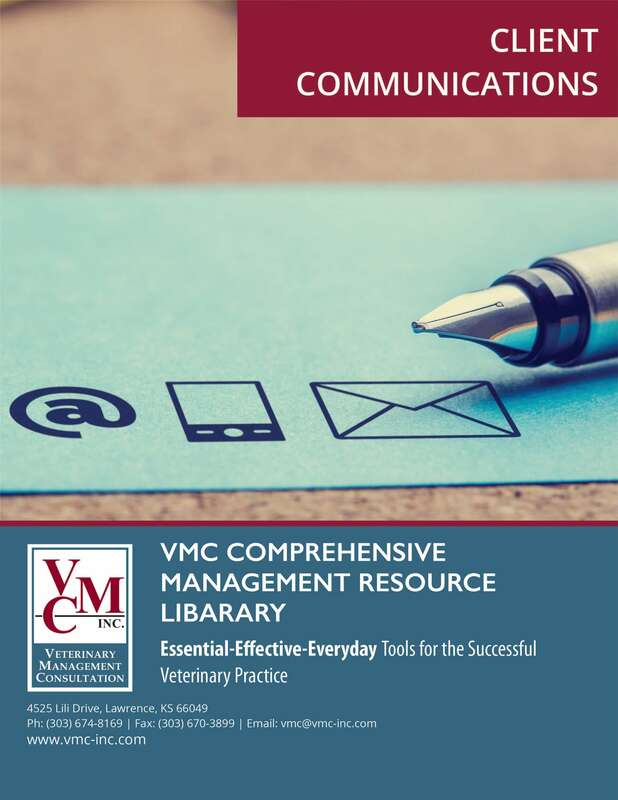 Hundreds of tools developed specifically for veterinary practices to help your business run more smoothly, effectively, and efficiently. 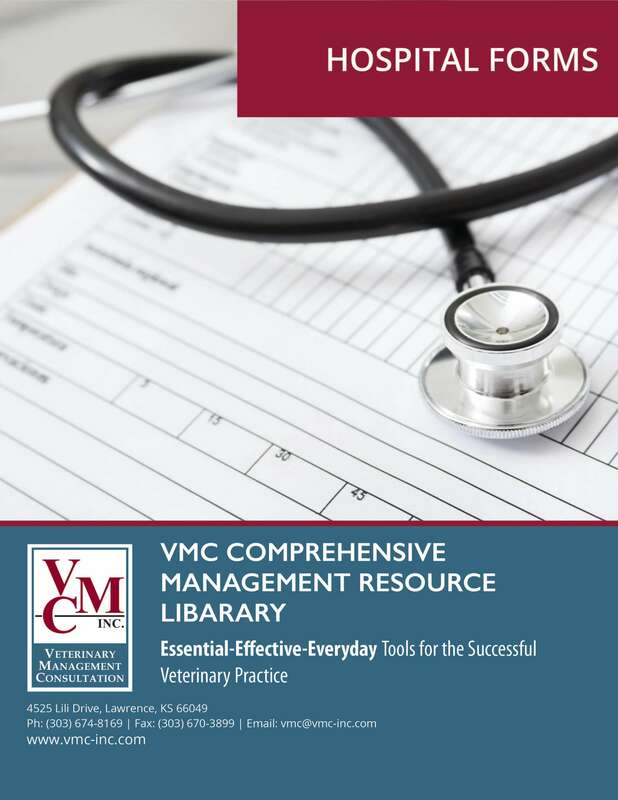 Within each section are detailed examples of forms and documents that have been specifically developed for veterinary practices. 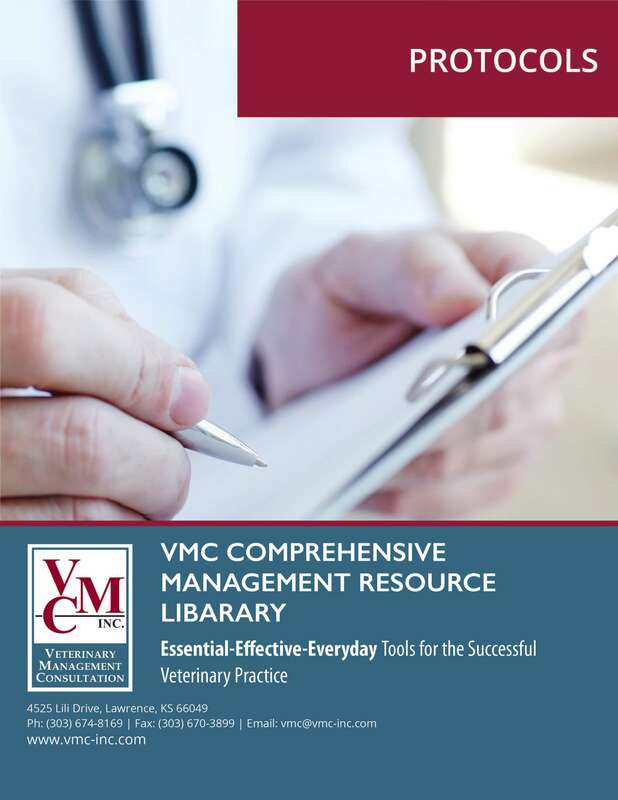 Instead of reinventing the wheel, you can begin with the most current, up-to-date documents available in veterinary practice management and then customize those documents for your practice. 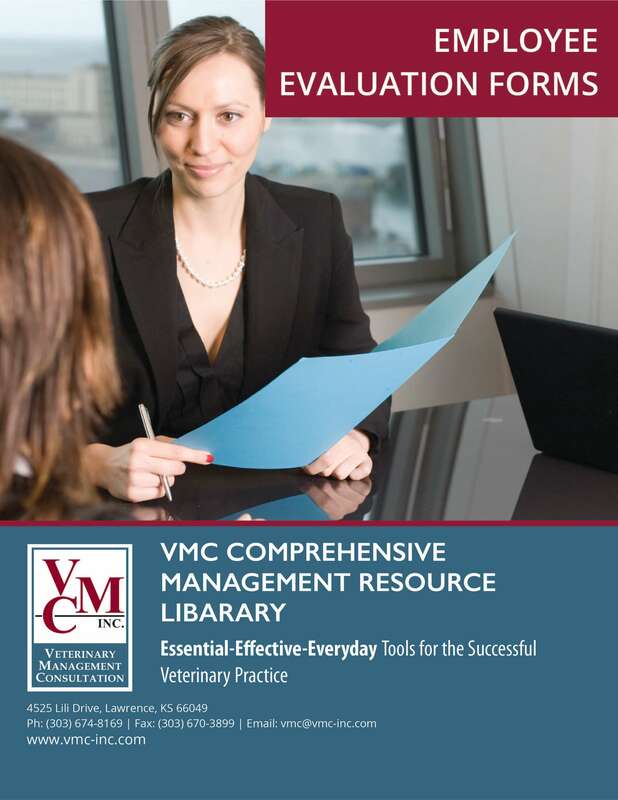 All the documents contained in the Comprehensive Management Resource Library come on a USB drive, enabling you to customize the form or document for your practice. 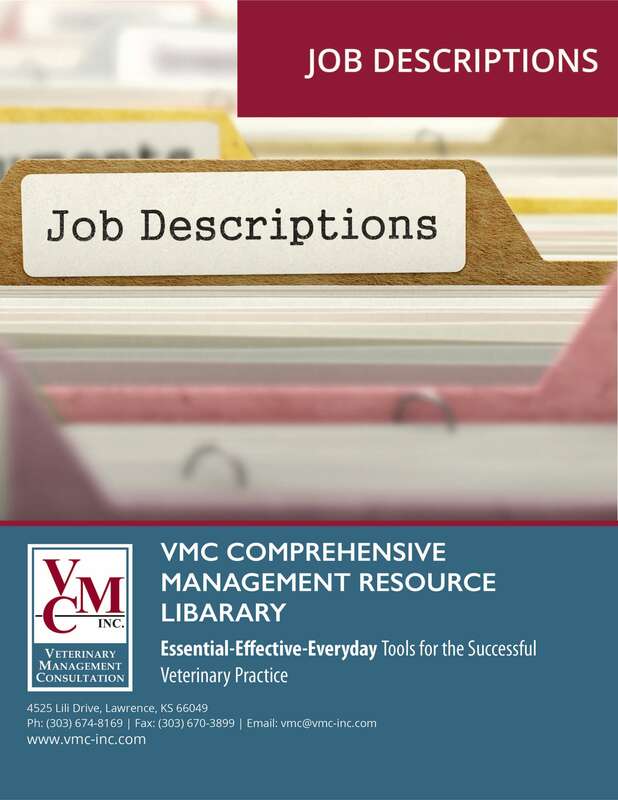 The accompanying book provides either a full-size sample of the document or an image of the document with a description, making it easy to find just the one you need. We also offer a subscription update service where you’ll receive updates as they are developed. 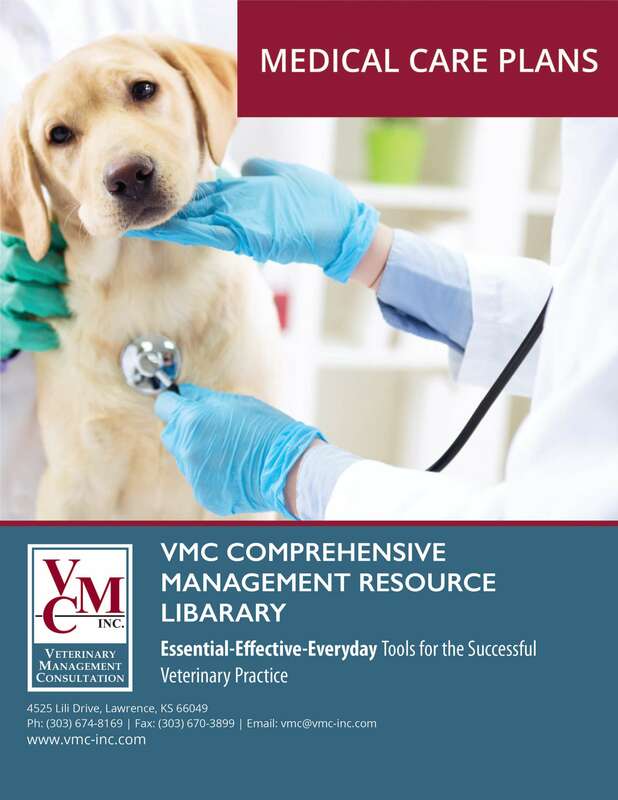 Nowhere else will you find such a comprehensive library with all the forms, documents and tools necessary to effectively manage a veterinary practice. Why waste time creating documents from scratch – and hoping you have included all the correct and vital information – when the work has already been done for you? 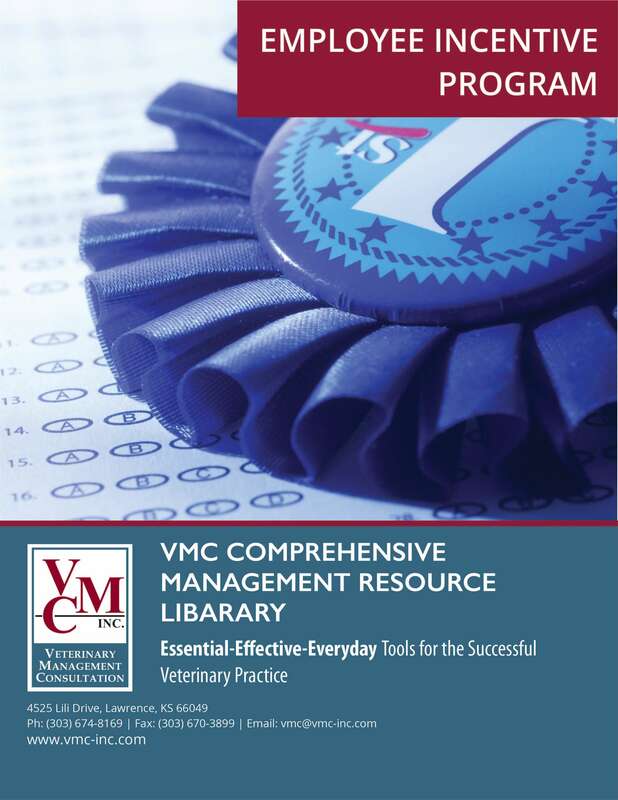 Laws change, polices and protocols need to be updated, and new concepts in veterinary practice management are constantly being developed. How you do you stay on top of all these changes? 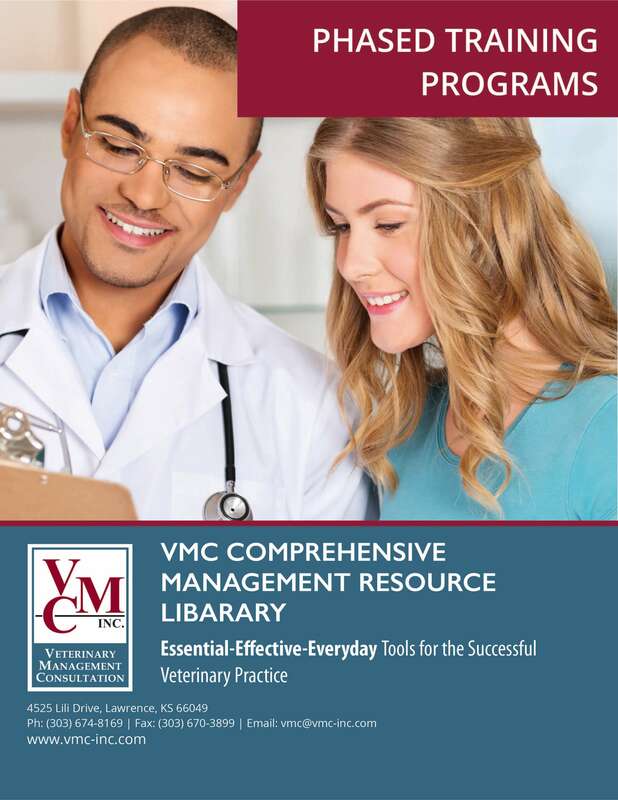 Subscribe to our Resource Library Subscription Service. 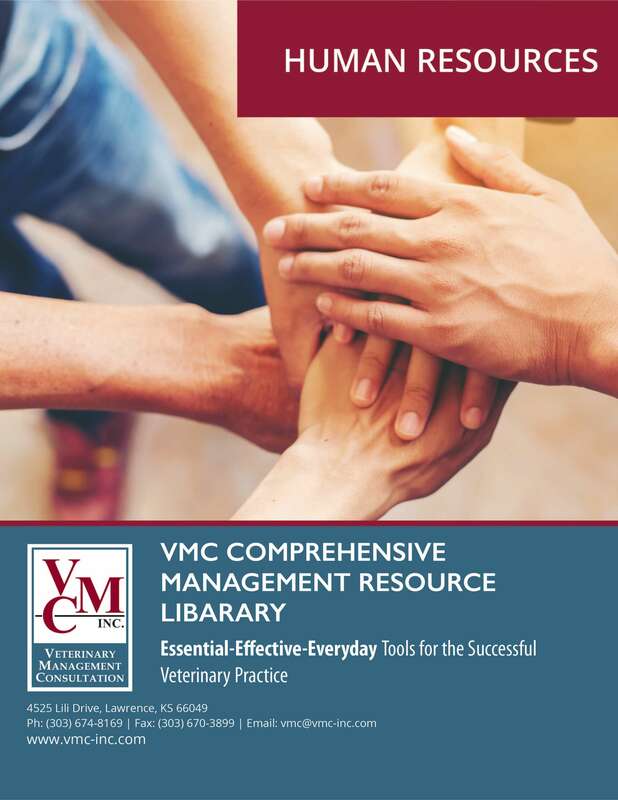 You must have purchased the VMC Comprehensive Management Resource Library within the past 30 days in order to subscribe to the update service. Once you have subscribed, you will receive updates via the Dropbox APP each time they are released. You will receive an update at least every quarter – and sometimes more often. As new laws are enacted, polices need to change. For instance, are you aware it is now required by the ADA that your job descriptions include essential functions of the job? These are useful in defending a claim of disability discrimination. 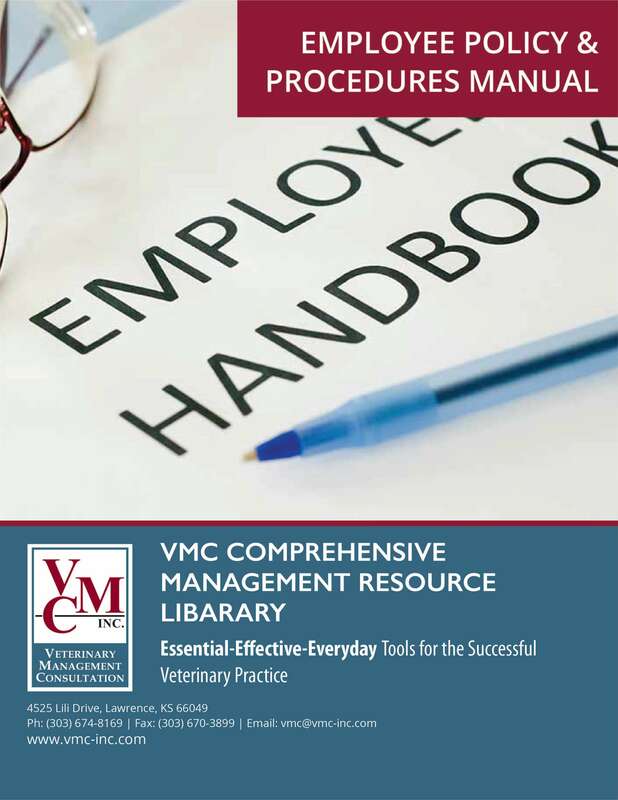 Our team does its best to keep up with the laws and regulations, not only in Human Resources but in other areas of veterinary practice management. 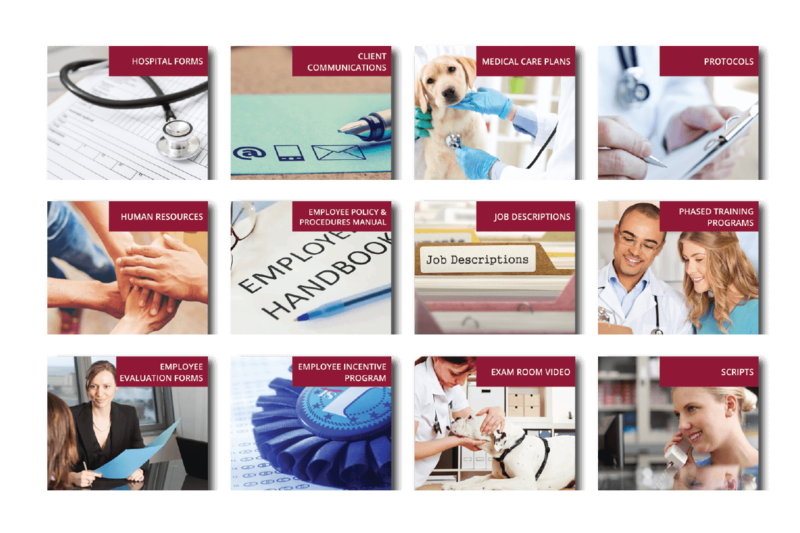 We are constantly developing new concepts, forms, and documents that will help you improve the customer service, efficiency or organization of your practice. 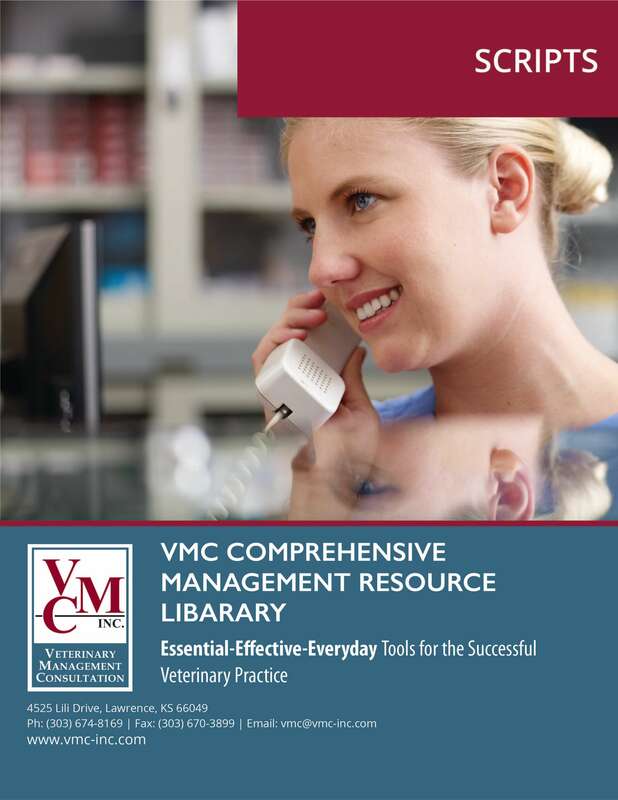 Don’t let your Management Resource Library become outdated, be sure to sign up for the Subscription Service.